Stan O’Donnell passed away suddenly on July 31, 2015. He was licensed in the spring of 2009 and awarded Badge #238. Though he did not live in the immediate Gettysburg area he was frequently in the guideroom and known and well-liked by all the regulars. Born in March of 1960, he numbered among the younger of our guides. He ran his own flooring company for many years and was a die-hard Philadelphia Phillies fan. 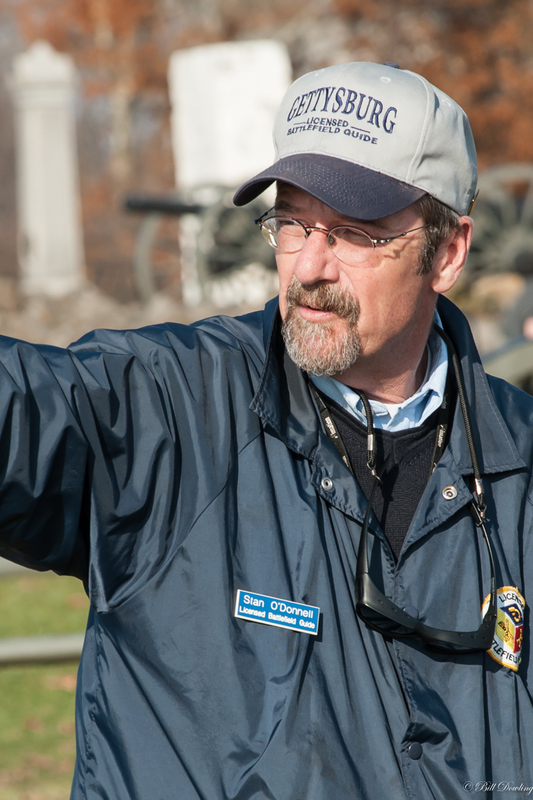 He loved walking Civil War battlefields and his earning of a Gettysburg guide license was a proud moment in his life. Stan had taken a leave of absence this guide season and his absence was noted. Condolences to his wife, Beverly and his family He was a father of three – two sons and a daughter, and also a grandfather.. More information will be added as it becomes available.